OK ladies this is a post 100% for you – only because Body Blitz is for women only! I think we can all agree that sometimes you just need to be indulgent and pamper yourself at a spa – and what makes it better is to go with the girls and make a night or day of it. Unfortunately I find that the word “spa” is tossed around a bit too much and when I want to indulge and have a spa day – I want it to be a spa experience (did I just use spa 3 times in 1 sentence?). I am not wealthy (yet) so I can’t afford to indulge all the time – but going months between high end spa experiences is just not an option in my life. I need my relaxation pampering time. This is why I love spending a few hours at Body Blitz in Toronto wading in the therapeutic waters. In 1618 a farmer at Epsom in England found his cows were unhappy drinking the water due to its bitter taste. He noticed that the water healed scratches and rashes and it didn’t take long for word to spread about its amazing medicinal affects. 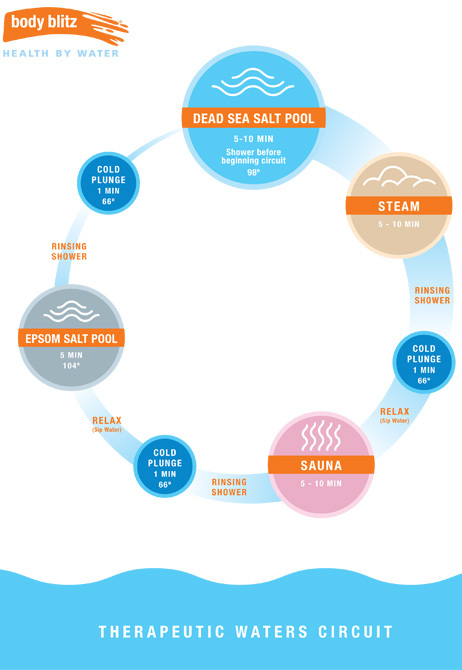 Epsom salt helps relieve muscle pain, reduce inflammation as well as helping muscles and nerves to function properly. The high magnesium content improves sleep and concentration and helps to regulate over 325 enzymes in the body. 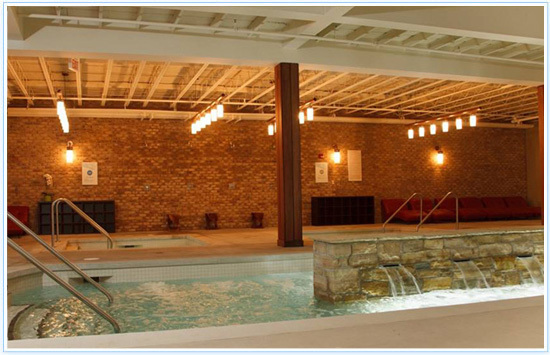 Plunge into the fresh waters (cold plunge) to cool the body, increase the body’s energy level and to tighten pores. Alternating between hot and cold is recommended to keep your body temperature and heart rate at a healthy level. Body blitz is one of the first public spas to use an infrared sauna. This new-generation sauna provokes a sweating effect up to 3 times superior to traditional saunas, creating an in-depth detoxification of the entire body. Infrared waves have the ability to help evacuate deeply-lodged toxins that are often at the heart of many of our health and beauty problems. As sweating is one of the most effective ways of eliminating toxins and polluting agents, our infrared sauna is an excellent way to help cleanse the body of impurities. This is a great place to go and relax and walk out feeling really pampered and happy. It’s a great experience – even better if you go with your BFF or group of gals. The weak point in the water circuit is the sauna – I didn’t really find it hot enough and didn’t really sweat. 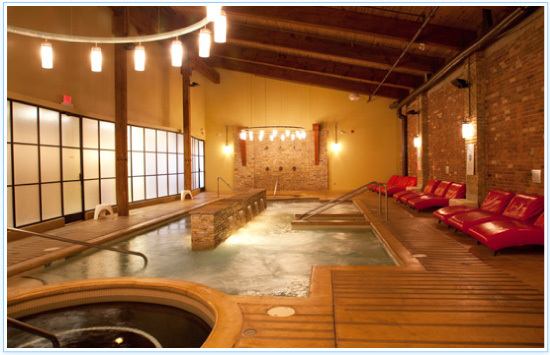 This entry was posted in Beauty and tagged beauty, body shop, sauna, spa, steam room, water by maldham. Bookmark the permalink.